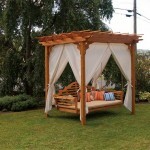 Many different options exist for the materials you can use for outdoor structures and furniture. 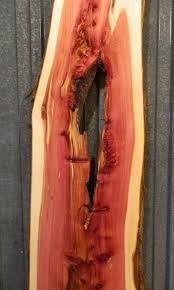 I would like to discuss the benefits of one such material, cedar wood. 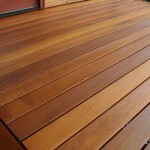 Cedar has many great qualities that make it one of the most suitable types of wood for outdoor use. It repels rot and insects, it’s durable, beautiful, and smells great! 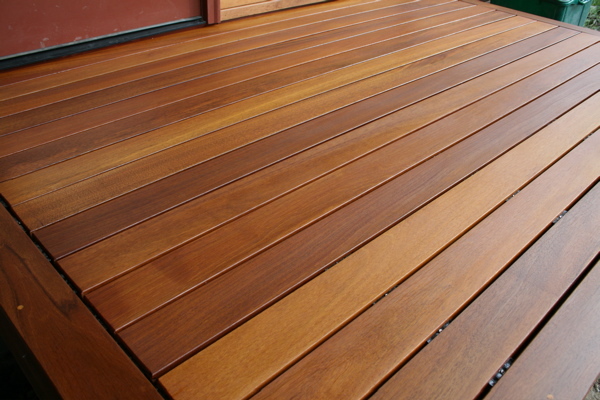 Cedar wood is much more resistant to warping and therefore makes a great material for outdoor decks. The durability of cedar wood is well known and the reason cedar is more durable than pine, which is also a softer wood, is the softness of the cedar wood and the oils contained within. 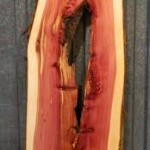 The balance between strength and flexibility is what keeps cedar from splitting and warping like treated pine will do. The oils contained within cedar wood protect it against pathogens and fungi and also help to prevent rot by repelling moisture. 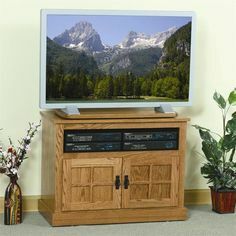 Create a bug free zone with cedar wood furniture. 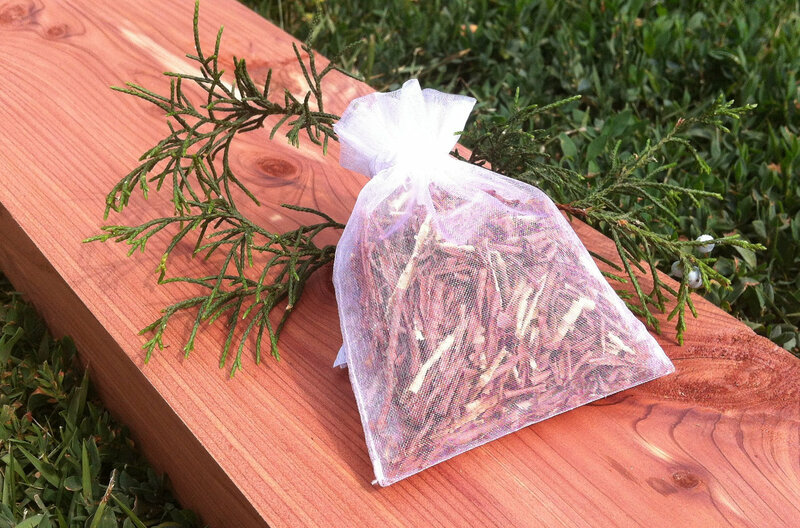 For places without cedar furniture, put some cedar chips in a mesh bag and tuck out of sight. The oils in cedar wood naturally and effectively repel many types of insects including; mosquitoes, roaches, and ants. This helps to create a bug free zone when you furnish your porch or patio with cedar wood furniture. The cedar’s natural oil will also repel termites and other wood damaging insects, this will help to increase the longevity of cedar furniture. 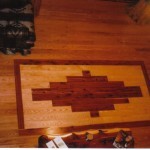 This floor has a gorgeous cedar wood inlay. 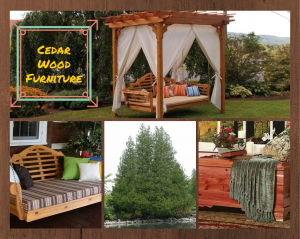 Cedar is an excellent choice for outdoor furniture. Especially if wood is the desired medium. Cedar wood has many features that make it quite useful and very unique. One of them is the beauty of raw cedar wood. 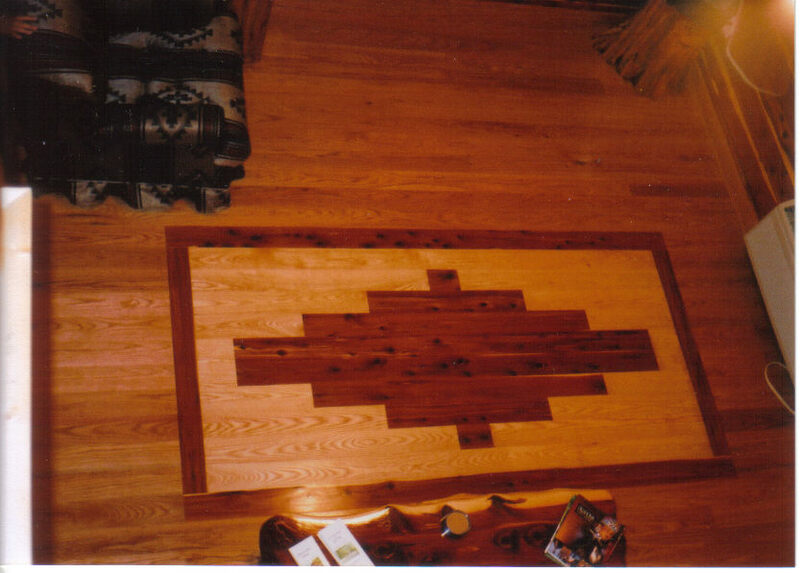 Untreated and unfinished cedar has a rustic look to it that can be maintained nicely with a transparent stain or sealer. Cedar brings wonderful red and elegant grey tones to the furniture. White cedar is beautiful for outdoor furniture and red cedar is absolutely stunning when paired with a hope chest. No other wood can come close to the wonderful smell of fresh cut cedar wood. The aromatic qualities of cedar wood are beyond reach for any other wood. Cedar oil smells great, and that wonderful smell repel insects, making cedar furniture a much more pleasant solution to fending off insect infestation than chemically based repellents. 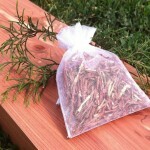 Cedar oil has even been used in incense and aromatic applications to aid in relaxation. 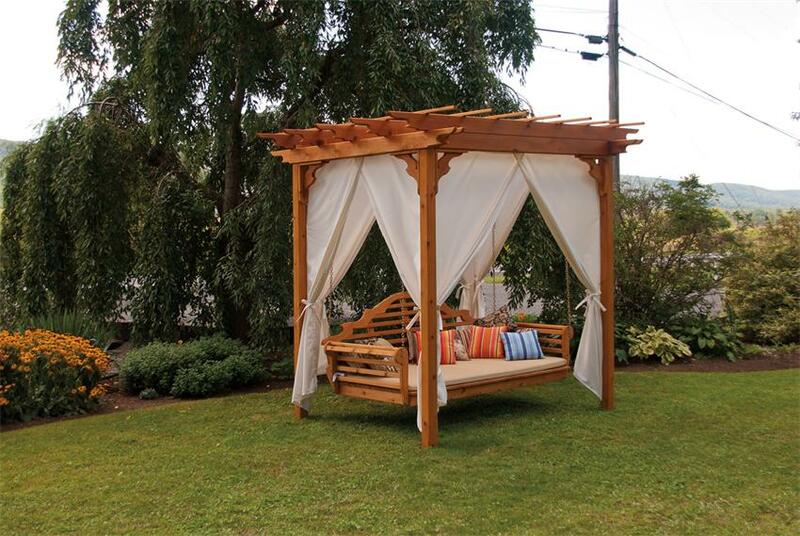 Imagine relaxing on this cedar wood swing bed and pergola. The surface of cedar wood is much smoother than most other wood types used in furniture making. This smoothness even in unfinished and lightly finished furniture makes cedar an ideal wood for outdoor furniture. Unlike metal or even plastic outdoor furniture, cedar wood stays cool even in the hot sun. This is because of the composition of the wood. Cedar wood has little pockets of air trapped in the give it an insulation value higher than most woods and much higher than brick or concrete. 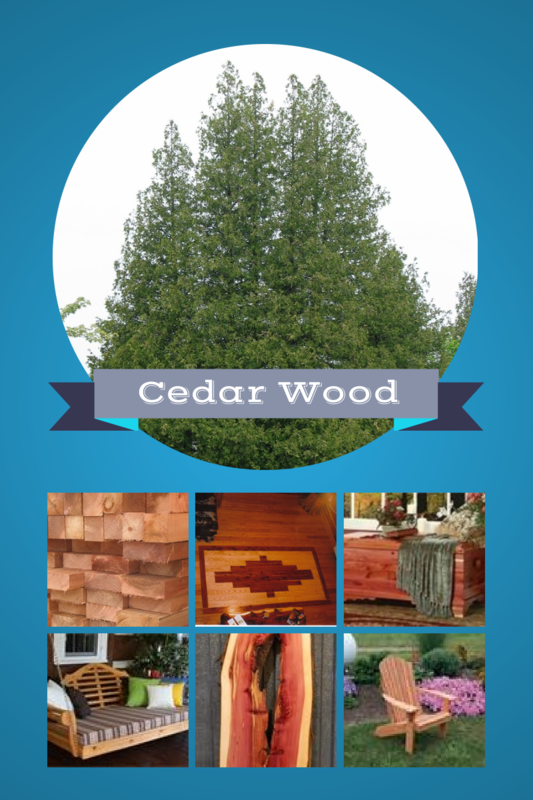 Cedar is a versatile, durable, and an extremely beautiful wood. Cedar wood is an all-around great choice for outdoor furniture. Cedar is strong and durable, yet soft and comfortable. 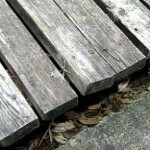 The oils in the wood protect itself from the elements and insects while also protecting the owner from insects as well. 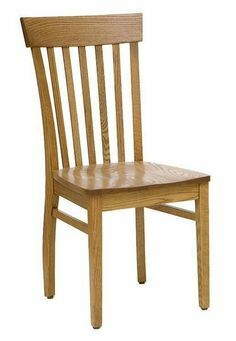 All of this is not to say that cedar wood is the only choice in wood outdoor furniture and structures, but it is a worthy choice among those out there. 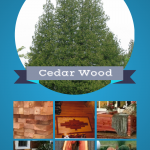 Learn more about cedar and other wood types and their features.